Type Drawing: Shape Poetry the Easy Way! Posted in: Apps, Integration, Technology. Shape poetry is a fun way for students to show what they know. They can retell a story or supply character traits by placing their writing in the form of a character or scene. 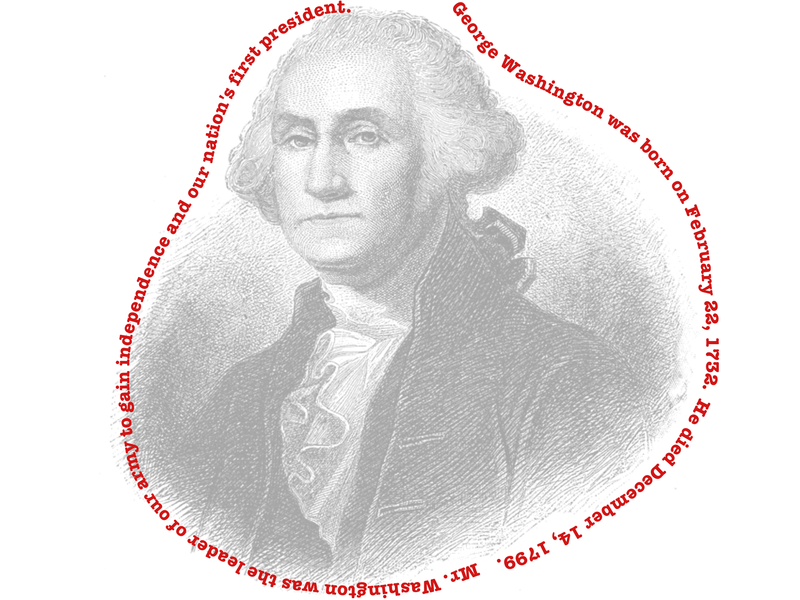 Students can relay facts of historical figures. Shape poetry can also be effective in the understanding of vocabulary, such as geometric shapes, by writing the definition or traits in the shape of the object/term you are defining. A great app @ChrisNilsson introduced me to some time back is TypeDrawing. 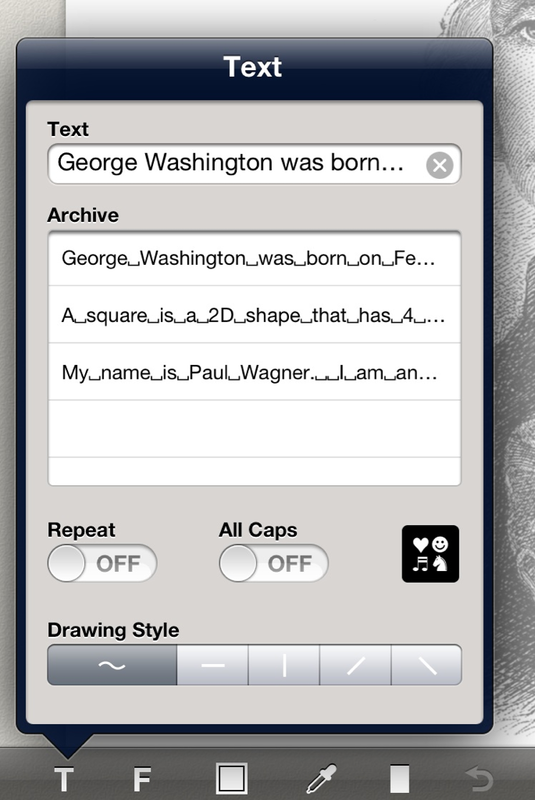 TypeDrawing allows you to create your product right within a single app. The app is easy to manipulate. Everything is at your fingertips. Your canvas has all the options available to you. 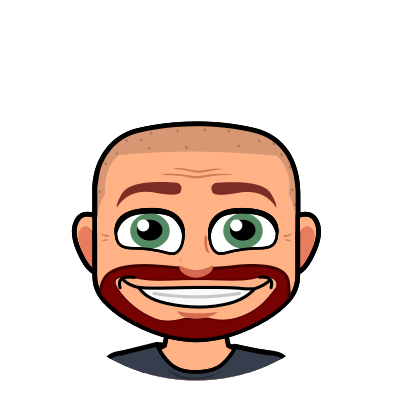 You can import an image from the background and then adjust its opacity to control how much of that image you actually will see. Once you place your words around the image you can even choose to make the image disappear completely! 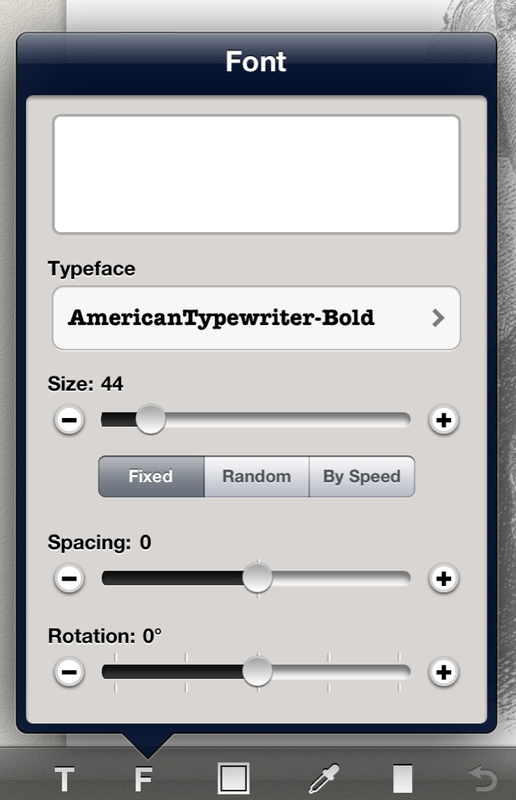 Add your text and fine-tune your font from options in the bottom-left of the screen. Click on the “T” to enter the text you wish to add to your canvas. From experience, if you are typing a paragraph I would break it down into sentences. Do not add the entire paragraph to one text box. Then if you make a mistake you won’t have to start all over. The app will keep a large amount of your text data in the archive for you to access later if needed. There are other options here for you to mess with on your own. The “F” will allow you to change your font type and size, as well as a few more options. Experiment here to find the perfect fit to your project. The square next to the “F” in the tool options is where you can adjust your font color. Once you have your options set you are ready to draw your text onto the canvas. 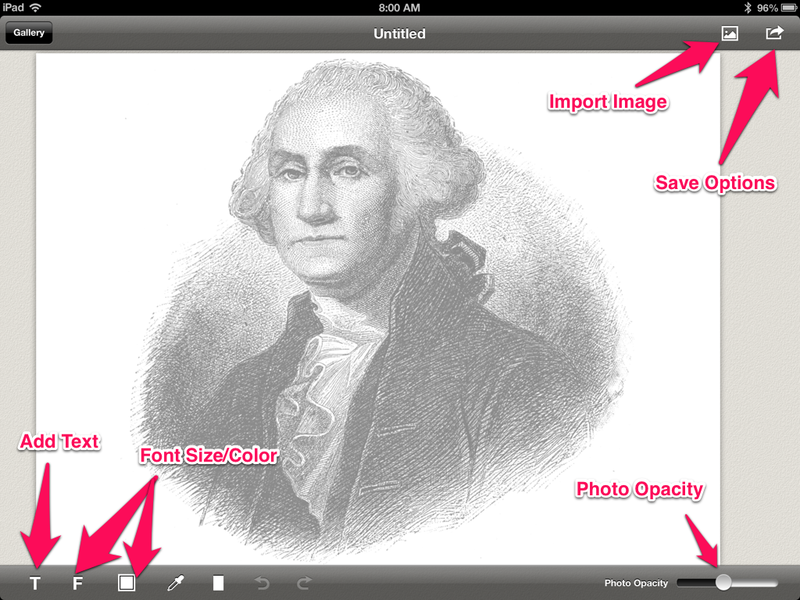 Simply press and trace with your finger where you want the text to be. Your canvas is automatically saved within the app. Visit the gallery to view your projects. From there you have multiple sharing options. The ones used most often will be to save to photos, email, or share via Twitter. 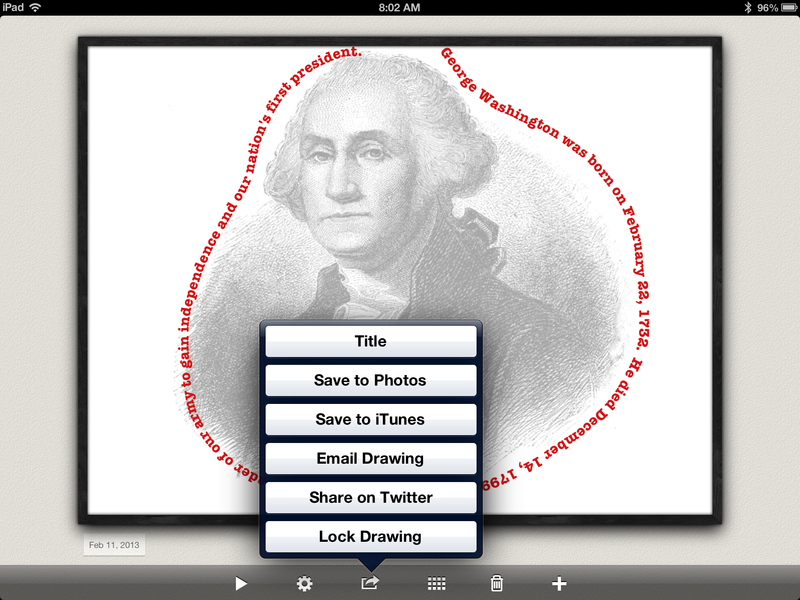 TypeDrawing is another tool to add to your arsenal that allows students to use their creativity to show what they know. The $1.99 cost will be money well spent for your classroom.